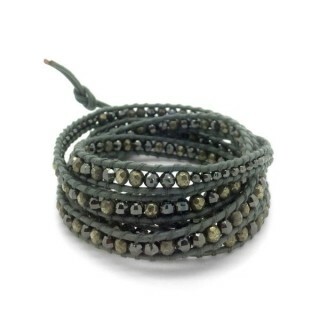 This single wrap bracelet has been hand crafted using silver & gold plated nuggets woven onto leather and finished with a sterling silver plated Code Love button. 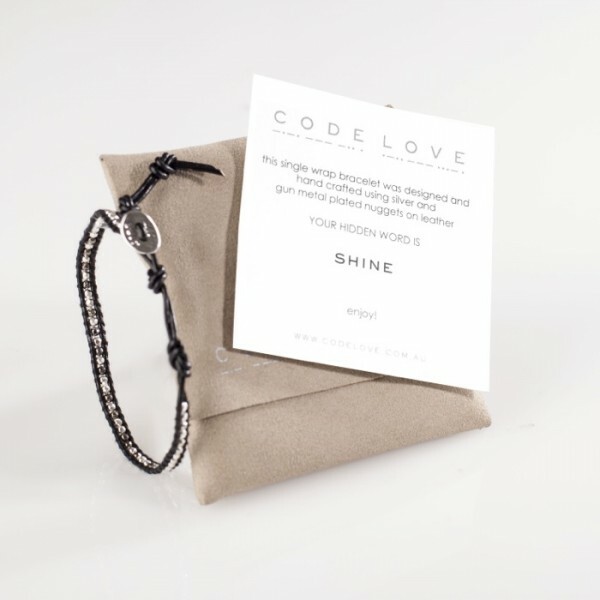 All CODE LOVE wrap bracelets are presented in a beautiful suede pouch for safe keeping. A note with the hidden message is enclosed listing the materials used. 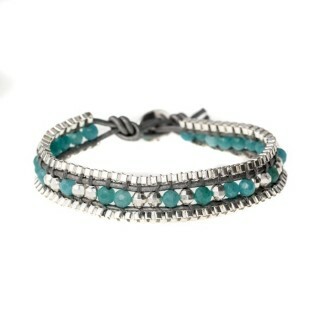 Worn casually or on a night out this fabulous wrap bracelet will compliment any outfit.